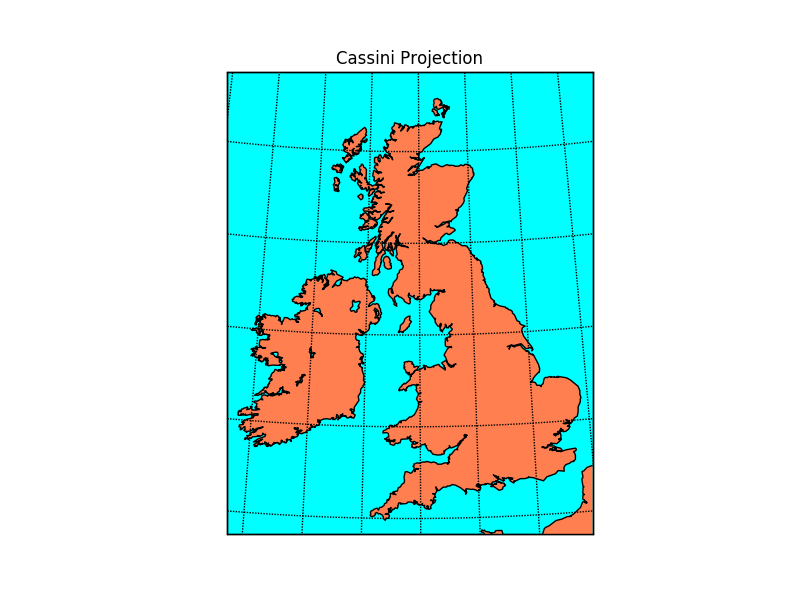 The transverse aspect of the equidistant cassindrical projection. The globe is first rotated so the central meridian becomes the “equator”, and then the normal equidistant cylindrical projection is applied. # resolution = 'i' means use intermediate resolution coastlines. # lon_0, lat_0 are the central longitude and latitude of the projection.